If you are involved in the tree care industry there will be lots for you to see and do at this hugely popular national event and InfraGreen Solutions will be on stand T5A with our range of product literature and tree planting solution experts. 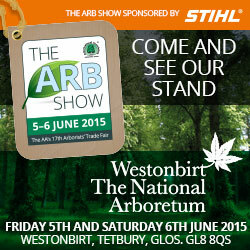 Come and see InfraGreen Solutions at the Arb Show, Westonbirt, The National Arboretum, we’re on stand T5A. Make a date in your diary for the weekend of 5th & 6th June – the ARB Show is having a major facelift for 2015!